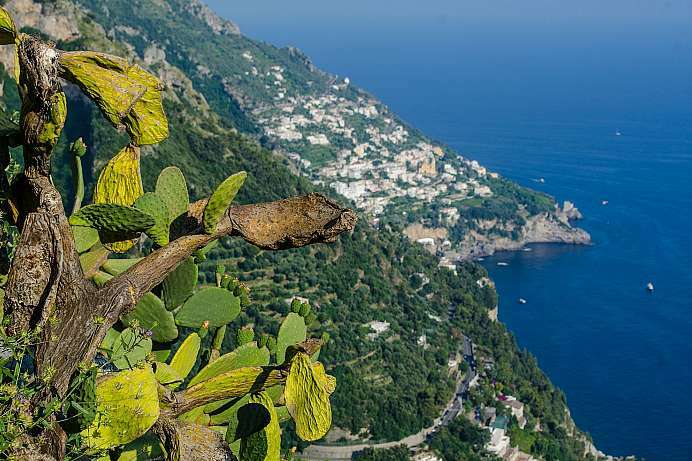 South of Naples the Sorrentine Peninsula extends about 50 km into the Tyrrhenian Sea pointing towards Capri. 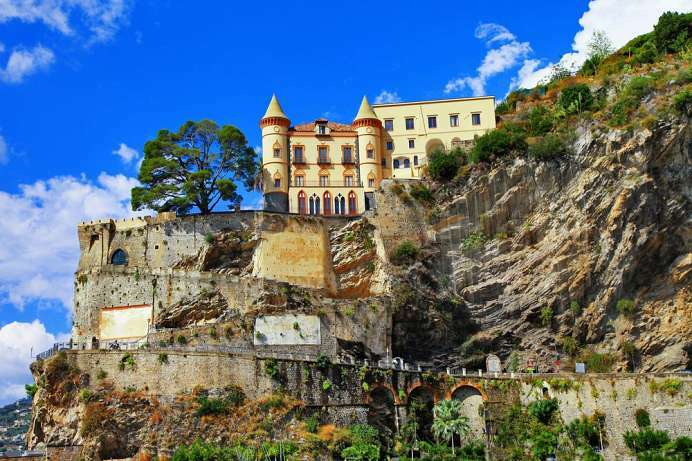 The rugged cliffs on the southern side of the peninsula are known as the Amalfi Coast, which is considered one of the most beautiful stretches of coastline in the world. The region was only accessible by sea until the 19th century, when a road was carved into the side of the cliffs. The picturesque villages therefore appear to be clinging to the cliffs below the road. The area was named a World Heritage Site by UNESCO in 1997 due to its great physical beauty and the diverse nature of the terrain, which ranges from terraced vineyards and orchards on the lower slopes to wide upland pastures.